Positive Pedagogy is an athlete-centred, inquiry-based approach that transforms the way we understand learning and coaching in sport. This book demonstrates how Positive Pedagogy for sport coaching (PPed) can be successfully employed across a range of sports and levels of performance, while also providing insight into coaches’ experiences. Now in a fully revised and updated second edition, the book introduces the key concepts that underpin Positive Pedagogy and offers detailed case studies of Positive Pedagogy in action, with reflections from practising coaches. It also provides more detail and direction for coaches interested in implementing the approach. 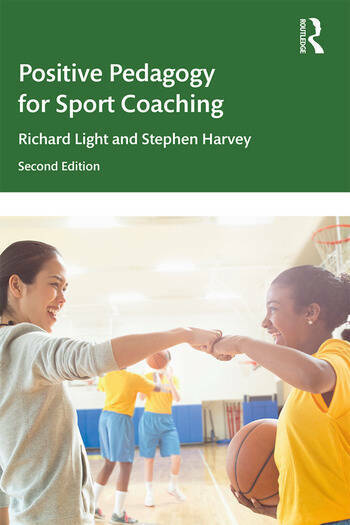 This new edition moves beyond coaching in individual sports to explain how Positive Pedagogy can be applied to all sport coaching across a wide range of sports, including basketball, baseball, football, rugby, boxing, swimming, track and field athletics, as well as strength and conditioning. Positive Pedagogy for sport coaching both improves performance and promotes positive learning experiences across all ages and abilities. This book is invaluable reading for all sports coaching students as well as any practising coaches or physical education teachers looking to improve or even transform their professional practice. Richard Light is Professor of Sport Pedagogy in the College of Education, Health and Human Development at the University of Canterbury, New Zealand. He is a prominent figure in research on, and the development of, athlete-centred coaching. Richard’s experience as a coach was in school sport as a primary and secondary school teacher and at high-performance levels in rugby and martial arts, where he coached national champions in karate and kickboxing. Stephen Harvey is Associate Professor of Coaching Education in the Department of Recreation and Sport Pedagogy at Ohio University, USA, and a prominent figure in research on games-based coaching (GBA). He is an international field hockey coach and works with USA Field Hockey. He also coaches at a local soccer club and has led coach development sessions for numerous organizations, including the United States Olympic Committee (USOC) in its National Team Coach Leadership and Development Program.